Founders of I Am B.E.A.U.T.I.F.U.L. to Receive Showcase Award - I AM B.E.A.U.T.I.F.U.L. 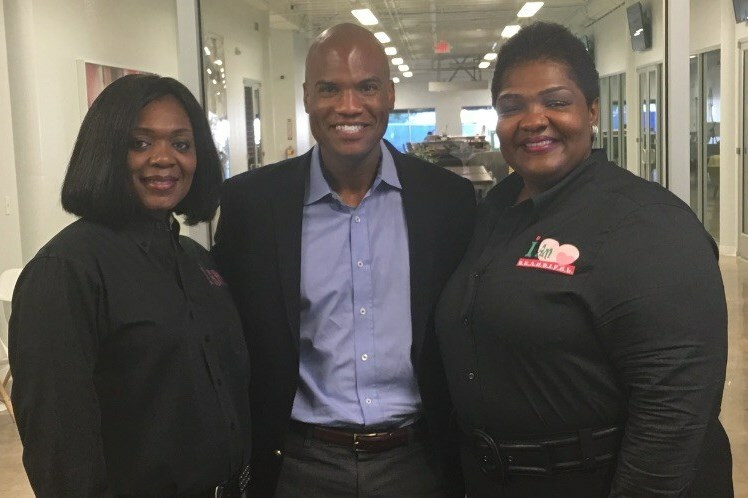 IAB Founders Dr. Tina Woodard and Dr. Zenobia Edwards have been chosen as the 2016 recipients of the Showcase Group’s Inspiration Awards this year for making a difference in the lives of at-risk youth. Showcase Group (SG) is an organization dedicated to improving the lives of incarcerated and at­ risk youth through alternative and evidence ­based interventions. Showcase Group aims to highlight the positive attributes youth can contribute to society while working towards the psychological and behavioral growth of youth intermittently. Each year they Showcase Group honors leaders who empower youths to lead their fullest across five award categories, which are the Showcase Group “Pillars:” Prevention, Community Engagement, Inspiration, Facing Our Future and Self ­Actualization. The event will recognize Dr. Woodard and Dr. Edwards’ contribution to our society by awarding them the Inspiration Award this year. The Showcase Group’s event will present the third annual Showcase Awards that honors community leaders and do a fundraiser for its Group Home in Franklin, GA. This event will take place Sunday, November 6, 2016 at the Tech Square Labs at 3:00 pm. General admission is $25 per ticket.